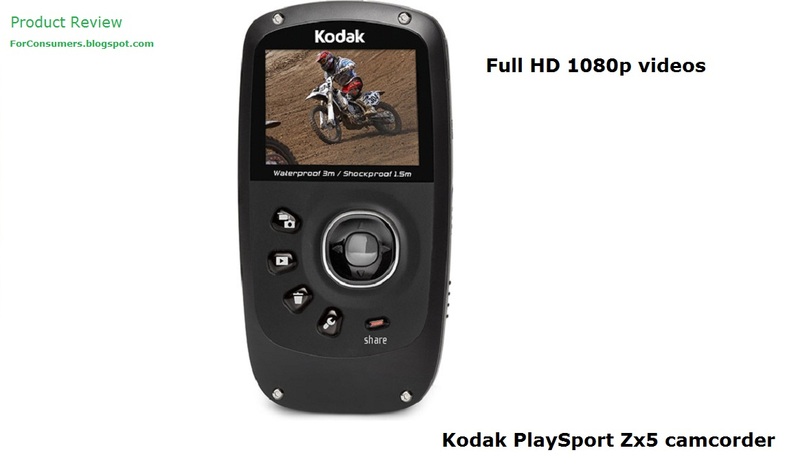 Kodak PlaySport Zx5 camcorder features - this ultra-compact camcorder can shoot videos on the go in Full HD 1080p resolution. Kodak PlaySport Zx5 is also a very tough camcorder, it is waterproof (10 ft.), dustproof and shockproof. This means you can carry it around without worrying about the conditions. 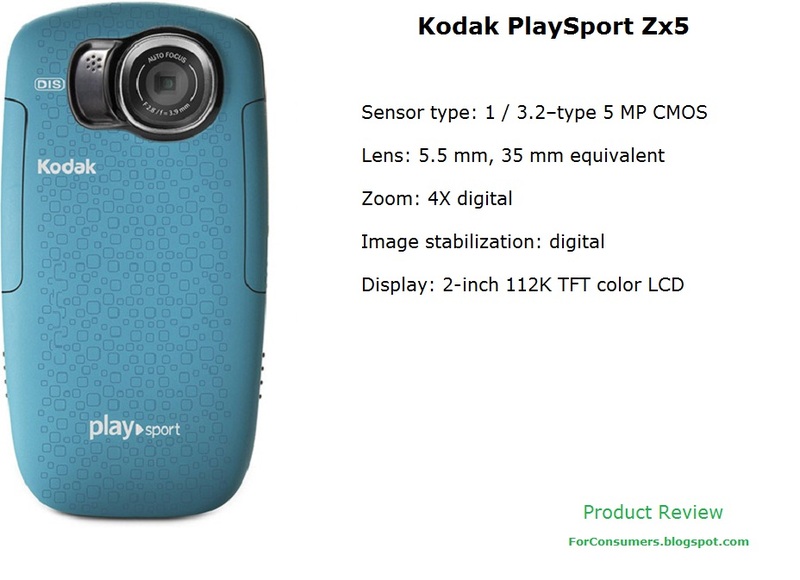 Kodak PlaySport Zx5 is not only small but it weighs just 125g. It is made for those who like to capture the moments from their extreme lifestyle. The compact Kodak PlaySport Zx5 has a 2-inch bright LCD display which automatically adjusts to the lighting conditions around you. This camcorder can also make quality still pictures. 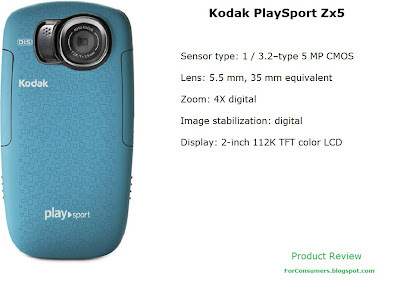 Kodak PlaySport Zx5 comes in five different color choices - white, greed, red, black or blue. The price of this small and very capable camcorder is £80 but you can find it even cheaper after discounts in some tech stores. Dimensions: 2.3 × 4.4 × 0.7 in.